Quietly on the other side of the world, the Asian Poker Tour Manila Millions kicked off on Thursday, April 18. 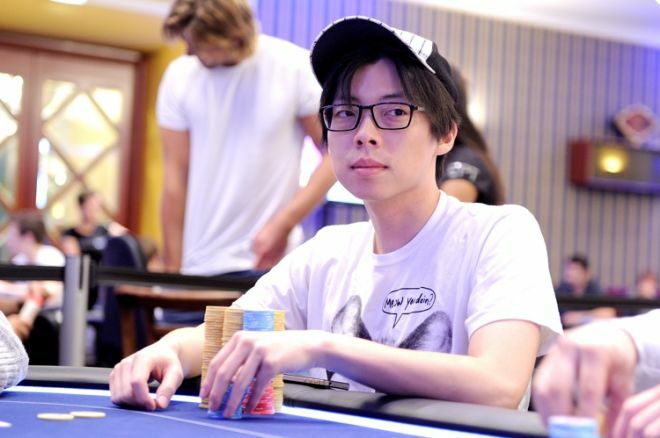 The event boasted a massive HK$1,000,000 buy-in (approx. $129,000) and has been taking place at the Resorts World Manila. At the end of the first day, Joseph Cheong led and only seven players remained from the 18 who played, but four of those players added rebuys. Thanks to the addition of HK$2,000,000 from the Genting Club and Resorts World Manila, the prize pool came to a whopping HK$24,000,000 (approx. $3,100,000) and first place has been set at HK$10,428,000 (approx. $1,340,000). In addition to those seven players, many other well-knowns came to play including Joseph Hachem, Sam Trickett, Philipp Gruissem, David Steicke, Andrew Robl, Tom Hall, Nam Le, Allan Le, Elton Tsang and Winfred Yu. The four players to rebuy were David Benefield, Hall, Gruissem and Robl. Of those four, only Benefield was able to advance to Day 2. Hachem was one of the first players eliminated on the day. According to the PokerAce.tv reports, Hachem got the last of his money in with the versus Peter Chan's . Despite flopping the nut flush draw to go along with his one overcard, Hachem failed to hit and was eliminated. Steicke was eliminated in 11th place, falling also to Chan. Nam Le was then eliminated in 10th place at the hands of Thomas McDonald. Gruissem, who is widely regarded as one of the best high roller event players in the world, saw his tournament end in ninth place before Hall was the final one to go in eighth. Hall found himself all in with the , but dominated by the for Benefield. Unable to improve, Hall busted for the second time on the day as play closed for the evening. With the top four spots set to pay out, the remaining players aren't in the positive just yet. Action is set to recommence on Friday, April 19 at 2 p.m. local Manila time, and PokerNews will have a recap upon the completion of play. Should the World Series of Poker Uncap the Big One for One Drop?